En realidad este post no lo voy a escribir yo, por que para escribir esto se necesita una mujer gamer, una mujer geek. Asi que le cedo el turno al Blog de ChicaGeek, copy/paste desde su Blog (Conste que esto no me gusta, es solo circunstancias). Los chicos de DSFanboy, mi blog favorito de Nintendo DS, han descubierto la revista perfecta para todas las chicas que juegan a la DS. Se llama Girl Gamer y será publicada de forma gratuita junto a Bliss y Mizz, dos de las revistas de adolescentes más populares del Reino Unido (algo así como el SuperPop y el Bravo de aquí). El caso es que viendo la portada de la revista no sé si reír o llorar, porque no he visto semejante compendio de tópicos en mi vida: empezando por los coloretes estilo Srta. Pepis de la chica en portada y acabando por la DS en rosa, por no hablar de los temas mencionados en portada (“Aprende a cocinar con Cooking Mama” o “Entra en el sorteo de 10 juegos Imagina ser mamá“). Por lo menos es gratis… quien no se consuela es porque no quiere. La de SuperPop y Bravo son revistas de video juegos o de qué? Dispensen mi falta de cultura respecto a los videojuegos, solo conozco el solitario. La DS es la Nintendo DS, una consola de videojuegos portátil. La SuperPop y la Bravo son dos revistas de adolescentes españolas (como la Bliss y Mizz inglesas mencionadas en el post). Olaa! Bueno, vereis..es que me quiero comprar unos cuantos juegos para la Nintendo DS pero no se cuales elegir..tengo 13 años y me gustaria que me recomendarais alguno porqe estoy echa un lio =S. el cual te resultara muy divertido independientemente si te gusta el rock o no, aunque seguramente terminaras rockeando. Tambien estan los de Kirby los cuales son excelentes juegos y muy divertidos y adictivos. Por ultimo te dejo este link, es un sitio web con muchos juegos para Nintendo DS con un review de cada uno, seguro encontraras tu favorito. se qe npido mucho pero si me podeis decir alguno no tiene qe tener todo lo qe pido pero.. bueno gracias!! me encantaria saber de uno y si alguien sabe que lo ponga. es un desastre los odio a todos la verdad me desepcionaron TONTOSSSSSSSSSSSSS!!!!!!!!!!!!!!!!!!!!!!!!!!!!!!!!!!!!!!!!!!!!!!!!!!!!!!!!!!!!!!!!!! An outstanding share! I’ve just forwarded this onto a coworker who had been doing a little research on this. And he in fact ordered me lunch simply because I stumbled upon it for him… lol. So let me reword this…. Thanks for the meal!! But yeah, thanx for spending the time to discuss this issue here on your site. create this particular post extraordinary. Fantastic activity! I’m extremely impressed together with your writing skills and also with the layout for your blog. Is this a paid theme or did you modify it yourself? Anyway keep up the excellent quality writing, it is uncommon to peer a great weblog like this one these days.. I do consider all of the concepts you’ve introduced in your post. They’re very convincing and can certainly work. 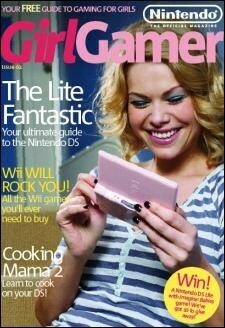 Precisely how long did it take u to compose “Revista para Chicas Gamer | Entre geeks te veas”? the fibers. Fact is they have! The following are some of the exercises go a long way in treating Cellulite Underwear? believed to be more effective. Individuals who complained of daytime sleepiness noticed considerable improvements in their life-style. page, since here every information is quality based stuff. What’s up, yup this piece of writing is actually nice and I have learned lot of things from it concerning blogging. thanks. Hello there! This blog post couldn’t be written much better! Looking at this article reminds me of my previous roommate! He constantly kept talking about this. I most certainly will send this post to him. Pretty sure he will have a good read. Thank you for sharing! like to send you an email. I’ve got some recommendations for your blog you might be interested in hearing. Either way, great blog and I look forward to seeing it develop over time. I will immediately grab your rss as I can’t find your email subscription hyperlink or newsletter service. Do you have any? Please permit me recognize in order that I could subscribe. Thanks. Thanks for one’s marvelous posting! I certainly enjoyed reading it, you may be a great author.I will always bookmark your blog and will eventually come back later on. I want to encourage you to definitely continue your great job, have a nice morning! Hello I am so grateful I found your blog, I really found you by error, while I was browsing on Aol for something else, Regardless I am here now and would just like to say cheers for a incredible post and a all round exciting blog (I also love the theme/design), I don’t have time to read it all at the minute but I have book-marked it and also added in your RSS feeds, so when I have time I will be back to read a lot more, Please do keep up the awesome work. I’m really enjoying the theme/design of your web site. Do you ever run into any web browser compatibility problems? A couple of my blog readers have complained about my blog not working correctly in Explorer but looks great in Firefox. Do you have any tips to help fix this issue? I as well am an aspiring blog writer but I’m still new to the whole thing. Do you have any recommendations for rookie blog writers? I’d definitely appreciate it. yet effective. A lot of times it’s challenging to get that “perfect balance” between usability and visual appearance. I must say you have done a excellent job with this. Also, the blog loads extremely fast for me on Opera. Excellent Blog! Do you mind if I quote a few of your posts as long as I provide credit and sources back to your blog? My website is in the exact same area of interest as yours and my visitors would truly benefit from some of the information you present here. Please let me know if this okay with you. Thanks a lot! I’ve loaded your blog in 3 completely different web browsers and I must say this blog loads a lot quicker then most. Can you recommend a good hosting provider at a honest price? Thanks a lot, I appreciate it! My site has a lot of completely unique content I’ve either written myself or outsourced but it seems a lot of it is popping it up all over the web without my agreement. Do you know any solutions to help protect against content from being stolen? I’d truly appreciate it. the information. I’m book-marking and will be tweeting this to my followers! Outstanding blog and amazing style and design. but I’m a little lost on everything. Would you advise starting with a free platform like WordPress or go for a paid option? There are so many options out there that I’m completely overwhelmed .
. Any ideas? Appreciate it! am nervous about switching to another platform. I have heard good things about blogengine. I guess for now i’ll settle for book-marking and adding your RSS feed to my Google account. I look forward to brand new updates and will talk about this site with my Facebook group. Talk soon! your blog on my iphone during lunch break. I love the knowledge you provide here and can’t wait to take a look when I get home. I’m shocked at how quick your blog loaded on my mobile .
. I’m not even using WIFI, just 3G .. Anyhow, very good blog! Hey there! I know this is kinda off topic nevertheless I’d figured I’d ask. Would you be interested in trading links or maybe guest writing a blog article or vice-versa? My blog discusses a lot of the same subjects as yours and I think we could greatly benefit from each other. If you happen to be interested feel free to send me an email. I look forward to hearing from you! Terrific blog by the way! It’s a very easy on the eyes which makes it much more enjoyable for me to come here and visit more often. Did you hire out a developer to create your theme? Fantastic work! I really like your blog.. very nice colors & theme. Did you create this website yourself or did you hire someone to do it for you? Plz answer back as I’m looking to design my own blog and would like to know where u got this from. to manually code with HTML. I’m starting a blog soon but have no coding experience so I wanted to get advice from someone with experience. Any help would be greatly appreciated! Будущей маме принципиально понимать, что выбор больницы необходимо затевать с задачи о плановой мойке. А цепочка анализов для беременных делают бесплатно при наличии справки от врача. Полезная и важная информация позволит сэкономить на обследовании и родах. Не ждите, что в женской консультации все сообщат. Удивите доктора вопросом о возможностях вашего областного перинатального центра. Эффективная беременность и роды – достоинство будущей мамы, которая понимает свои права.